It all starts with Harvey “Kid Curry” Logan, an American outlaw who ran with Butch Cassidy and The Sundance Kid’s Wild Bunch, known as the wildest of the wild. Kid Curry was just that: a rustler, gunman, bank and train robber; a scoundrel, a rogue and a miscreant of the highest order; a man with many appetites, mostly for women and booze. He was larger than life and lived to the extreme. Hollywood and pop culture would make legends out of Butch Cassidy and The Sundance Kid—Kid Curry took his own life to avoid capture on June 7, 1904, and would fade into dust along with the Wild Wild West. One hundred and twelve years later, the Wild Bunch has reformed in West Valley City, and Kid Curry is back front and center. The team, Keanan Beatty (Lead Distiller, Head of Production), Jeff Beatty (CEO/CFO) and Michele Haley (main investor), is committed to its mission: to capture the wild spirit of the West with Rocky Mountain water’s earthy mineral base, sweet spice undertones and a crisp, clean finish. 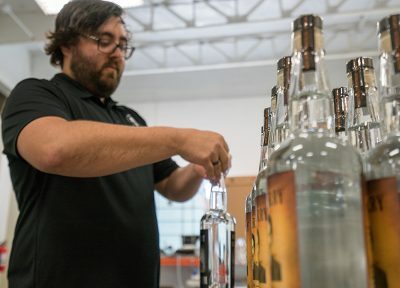 Adding to this mission, Rocky Mountain Distilling wants to provide affordable, high-quality products: Despite its midrange $18.99 price, Kid Curry Vodka offers a luxury taste. “Thirty-five percent of people that walk into a liquor store are buying vodka,” says Jeff. 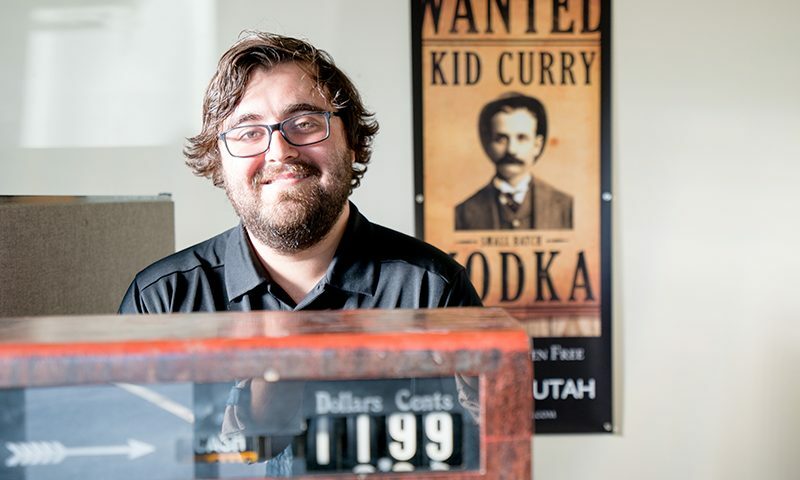 “Vodka builds the foundation and allows you to do other ventures.” Jeff has been in the liquor game for 20 years, having previously worked for Ogden’s Own. Jeff knows the whole process and how to sell it. What Jeff needed was a partner—someone to share his vision. He reached out to his son, Keanan, who was attending college at Gonzaga University at the time and had law school on his horizon. “I have an opportunity you might want to consider,” Jeff said. He sold the idea to Keanan, and the rest is history. Together, through research and trial and error, they built a flavor profile. “We knew what we were looking for,” says Jeff. “We knew how we wanted it to taste.” The two Beatty boys were almost there. They needed backing. That’s when Haley joined the gang, and the wild bunch of Rocky Mountain Distilling was up and running. This is where Kid Curry is brought back from the grave, providing that wild spirit of the West and the face of their flagship product. His wanted poster is on the label of the bottle, with burnt, blackened edges. The bottle itself has its own identity, looking like it belongs in a dirty, wind-blown, 19th-century saloon. The operations and productions is a grassroots family affair—parents, siblings, friends and even grandfather have worked the production line. “Grandpa is our best employee,” Keanan is quick to add. Once ready to go, the process is quick: bottling line, cork, label, neck band, seal, box—50 to 60 boxes, 672 bottles per pallet—ship and move. 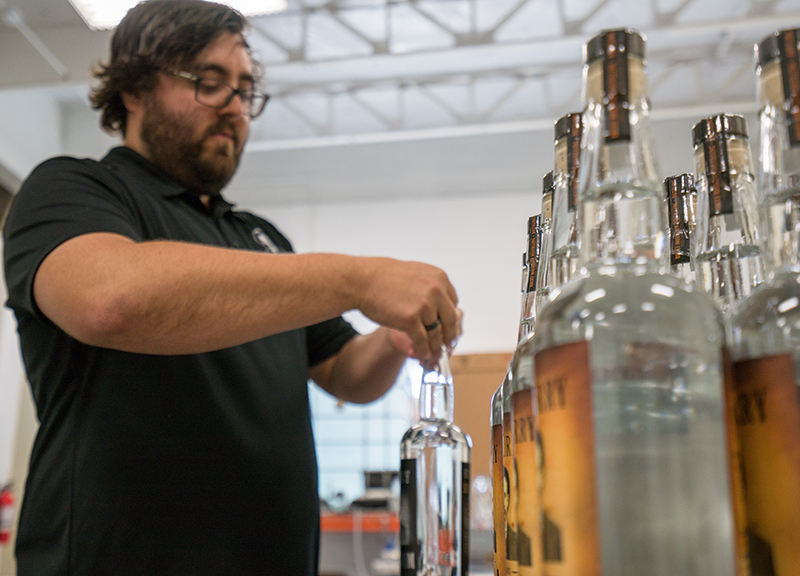 Before the product hits the trucks and before the bottles reach the assembly line, Rocky Mountain Distilling goes through a painstaking and detailed process that guarantees quality for the consumer. It’s made via the Russian standard, established in 1894, of running the vodka through a carbon filter. Through trial and error, “What once took 10 hours to filter now takes one hour and 10 minutes,” says Keanan. Kid Curry Vodka is filtered five times for a crisp, clean finish, and it is distilled from 100-percent corn. “The corn gives it sweetness, giving it a great taste profile,” says Keanan. The key is in the water: 35-percent spring water provides the earthy mineral base that holds the whole product together. 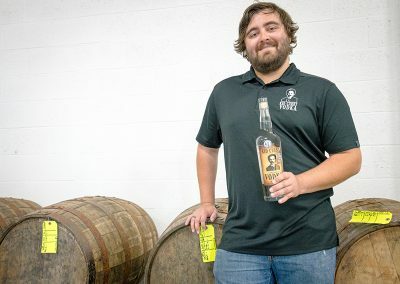 Rocky Mountain Distilling expanded their product line in August 2016 by introducing Kid Curry Silver Rum. “Vodka is the same recipe every time,” says Jeff. ”Rum is flavoring—it needs to be just right. Rum is simpler.” The fun aspect of rum is the aging process. Rocky Mountain uses bourbon barrels and lets the rum sit for six months for a bourbon caramel flavor. Another product coming soon from Rocky Mountain Distilling is a delicious Vanilla Caramel Vodka, expected to be released toward the end of the 2016. 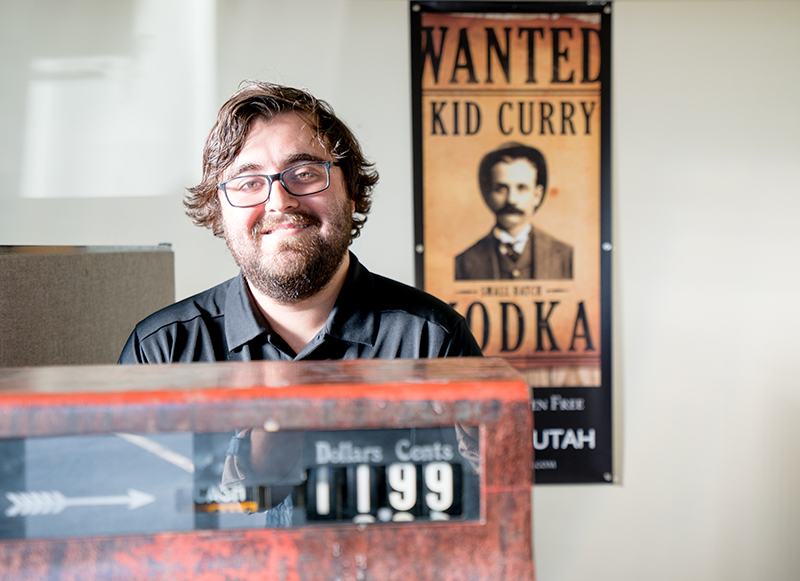 Buy local first, and especially buy Kid Curry Spirits for high quality at a low price. Rocky Mountain Distilling will host a Black Friday sale and free open house on Nov. 25 at 2080 W. 2200 S. in West Valley. Maybe they’ll ring you up on their old-fashioned cash register out front.